Beth and I first met about 10 years ago and have been friends ever since. We have been a part of some amazing moments in each others lives. Beth has a heart of gold and I am so lucky to call her my friend. Beth, Thank you for doing this. I am excited that readers of my blog are going to get to know the warm and wonderful you. Beth, tell me something about yourself. I am a stay at home mom to 2 young kids, 3 dogs, and a cat. I like to cook, bake and spend time with my family and friends. 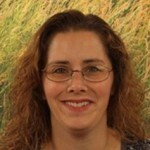 My family and I enjoy doing outdoor activities, especially going to the park and taking nice long walks in nature. I also enjoy photography and doing counted cross stitch. What is the first thing you remember cooking? What is your first kitchen memory? The first thing I remember cooking is French Toast. My Dad used to make some for us on the weekends, and he would add vanilla extract which made it extra yummy; then I would put cinnamon, sugar, and syrup on top….talk about a sugar rush! I have 3 favorites: Pizza, Lasagna with Garlic Bread, and Cheese Steaks. Who is your favorite cook? I would say Bobby Flay and Aaron Sanchez. Which is your favorite restaurant/cuisine? I love Italian food. I used to like Johnny Carinos but have not found a new favorite yet since they aren’t around me anymore. What is your “go to” recipe? My BBQ sauce, it goes well with almost anything! Give me two of your favorite recipes and tell me why you like making them? 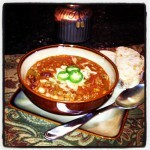 My 2 favorite recipes are Chili- it’s good, very easy to make, and it’s full of protein. And you can top it with a lot of different garnishes. 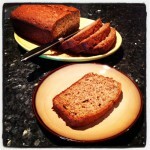 and Banana Bread- I don’t waste any bananas when they start turning brown, and everyone loves it! I like a slice fresh out of the toaster with a goober of butter melted on top.. In a large pot, brown the ground beef and drain the grease completely. Return pot to the stove and on medium start adding all the ingredients one by one stirring constantly. Cook on medium/low for about an hour stirring occasionally, till all the flavors meld together. Serve hot with your choice of toppings. It was great because Beth and I cooked together in the Straight from the Hearth Kitchen. 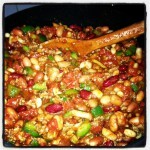 A couple of glasses of wine, lots of laughter and mmm mmm good Chilli… okay back to business. Don’t be afraid because of the huge list of ingredients. You just have to throw everything into the pot and almost forget about it. She was not kidding about the huge pot. We used five different kinds of beans. And you don’t add any water. The result is a thick, chunky, yummyishous (borrowed from my two year old daughter) bowl of chili which is super-satisfying. I served it topped with some grated cheese and a couple of slices of jalapeno with a side of crusty garlic bread. Delicious! Such a satisfying meal. We loved it, and the kids loved it too… can’t wait for the recipe. Cream the sugar and butter in a large mixing bowl until light and fluffy. Add the eggs one at a time, beating well after each addition. In a small bowl, mash the bananas with a fork. Mix in the milk and cinnamon. In another bowl, mix together the flour, baking powder, baking soda and salt. Add the banana mixture to the creamed mixture and stir until combined. Add dry ingredients, mixing just until flour disappears. Pour batter into prepared pan and bake 1 hour to 1 hour 10 minutes, until a toothpick inserted in the center comes out clean. Set aside to cool on a rack for 15 minutes. Remove bread from pan, invert onto rack and cool completely before slicing. Again Beth and I baked together… I would totally recommend this experience when you have friends over. Cook together, and then all sit down to eat, it’s awesome. 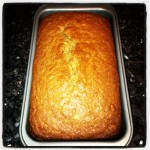 The aroma of the banana bread baking in the oven is wonderful. The kids could not wait for it to come out so they could dig into it. It was the perfect ending to a wonderful meal. And it was great for breakfast the next morning too! We served it the way Beth liked… lightly toasted with a pat of melted butter on top! I could eat like this every day! It’s a little sweeter than I like and I think an addition of nuts would make it perfect! Love it! I could go for another slice, please!